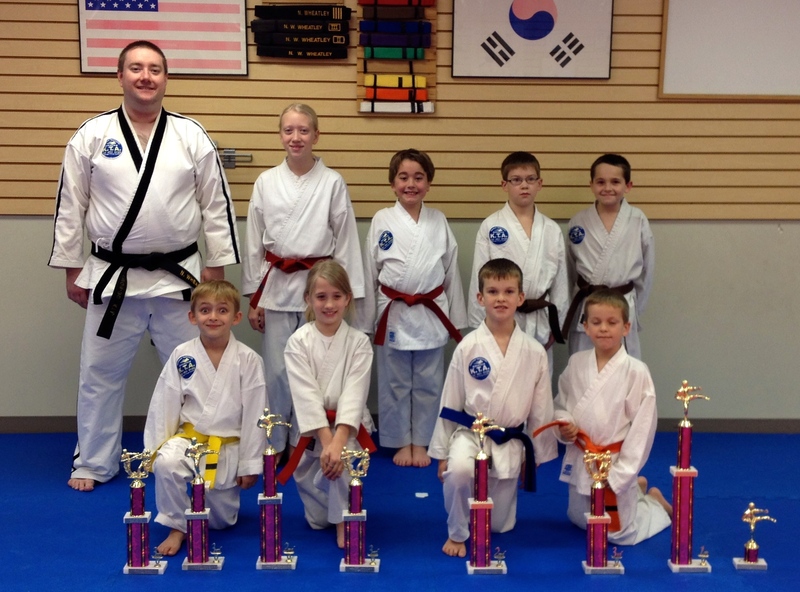 CARMI — Students from Olney Taekwondo Center (OTC), 233 E Main St in Olney, competed here Nov. 9 at the Southern Illinois Inter-school Tournament, bringing home a total of 21 trophies. Local competitors placing in forms competition were: Connor Summers, 1st place (Blue and Brown Belt age 8-10 division); chief instructor Nathan Wheatley, 2nd place (Black Belt Adult division); Nicole Klein, 2nd place (Advanced age 11-13 division); Avery Miller, 3rd place (Teen Boys division); Kyle Rennier, 3rd place (Red and Black Belt age 8-11 division); Shane Elder, 3rd place (Color Belt Adult division); Lexi Shepherd, 3rd place (Teen Girls division); Tyler Hinkle, 3rd place (Beginner age 6-10 division); and Jereme Higginbotham, 3rd place (Pre-TKD Orange Stripe division). Local competitors placing in sparring competition were: Nicole Klein, 1st place (Advanced age 11-13 division); Lexi Shepherd, 1st place (Teen Girls division); Conner Holtz, 2nd place (Blue and Brown Belt age 8-10 division); Shane Elder, 2nd place (Color Belt Adult division); Ophelia Klein, 3rd place (Red and Black Belt age 8-11 division); Kyle Rennier, 3rd place (Red and Black Belt age 8-11 division); Tyler Holtz, 3rd place (Blue and Brown Belt age 8-10 division); Xander Holtz, 3rd place (Beginner age 6-10 division); and Tyler Hinkle, 3rd place (Beginner age 6-10 division). 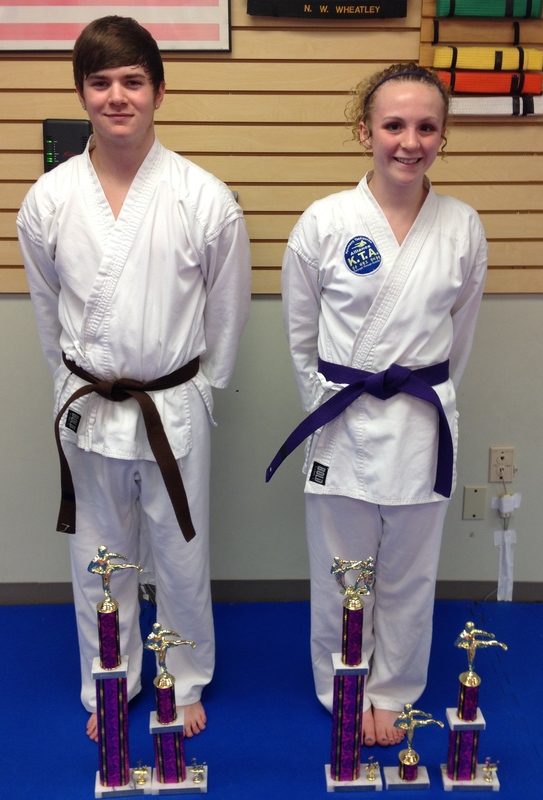 Local competitors placing in breaking were: Avery Miller, 1st place (Teen division) and Shane Elder, 2nd place (Adult division). Receiving honorable mention were Lexi Shepherd and Connor Summers. In the weapons competition, Kyle Rennier received 2nd place (Color Belt division). As Olney’s only dedicated martial arts training facility, OTC strives to provide quality martial arts instruction by blending traditional values with modern training techniques, offering programs in traditional taekwondo, mixed martial arts (MMA), self-defense and KickFit adult cardio. All of OTC’s instructors have met stringent instructor certification requirements and teach a standardized curriculum. OTC is located at 233 E. Main St., across from Arcadia Cinemas, and can be reached at 392-3800 or http://www.olneytkd.com. Ready to earn your victory? Click here for your FREE trial. Posted on January 5, 2014, in press release, tournament. Bookmark the permalink. Leave a comment. Click to enroll in our FREE basic membership program. Enter your email address to subscribe to the OTC blog and receive notifications of new posts in your inbox.